1. A crocheted hat for kids and adults. 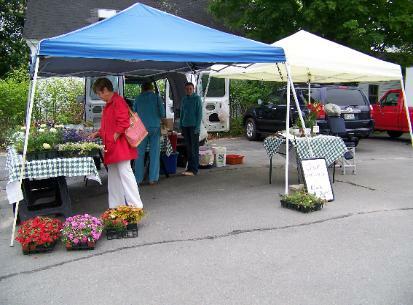 What’s not to love about Pineland Farms, with its sprawling green campus, gardens and wonderful market? Stop by this Saturday for the Strawberry Festival. Kids can learn to make ice cream (11:00 – 1 p.m.) and sample locally made treats. 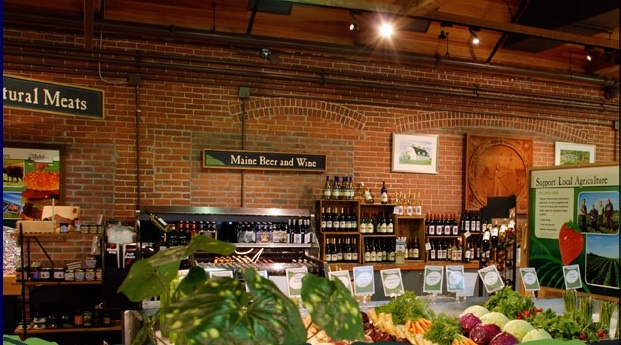 Later in the afternoon, Mom and Dad can enjoy a wine tasting featuring Winterport Winery’s fruit wines. Word on the street is Bray’s Brew Pub is the place to be for families during the Maine Blues Festival. Children can dance and play outdoors, while their parents enjoy the show. In town, kids can take part in even more fun, like face painting, creating public art and our personal favorite, the Cub Scouts’ pie throwing booth. Tickets can be purchased at the event for $15. We love events where we can try everything from Mexican food to gelato. The Taste of Brunswick offers samplings from nearby restaurants for $8 /pp (kids under 12 are free). While you’re there, enjoy live music on the town green. A visit to Hodgman’s Frozen Custard is exciting enough on its own, but on Sunday, over 300 antique cars will be on view. Not enough for you? Check out the New Gloucester Community Market across the street, where they’ll be celebrating with free hamburgers, music and lemonade. 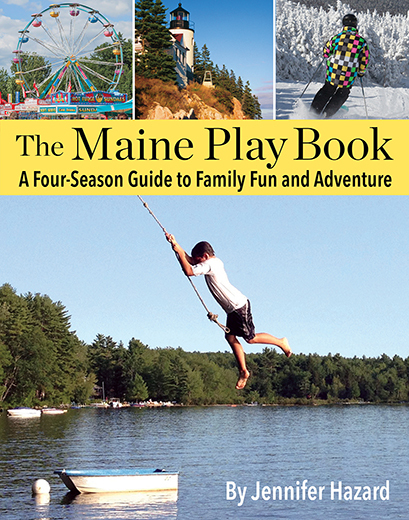 Car Show: 10 a.m. – 2 p.m.
Market event: 11 a.m. – 3 p.m.
To celebrate their 75th anniversary, the Maine State Park System is offering free entry to all state parks and historic sites on Father’s Day. So pack a picnic lunch and treat Dad to a day at the park. We’ve been trying to come up with something to surprise Dad Potato on Father’s Day. It’s hard. Last year, we made him Viva El Papa t-shirts. This year we’re considering a Dad Rocks theme, but our glittery guitar card didn’t turn out as planned. The Maine Blues Festival features live music all weekend at various locations throughout Naples. Tickets are $10 and can be picked up at any Bull Moose location. 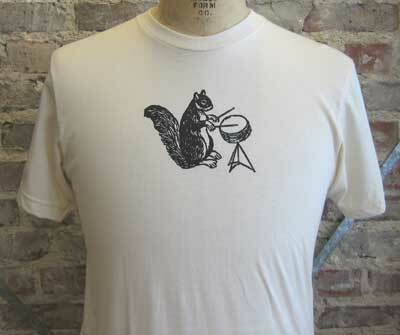 Ferdinand’s Drumming Squirrel T-Shirt is super cool and made of soft, organic cotton. Shop your local Farmer’s market to find jams, jellies, honey and more welcome treats for Dad. Offering over 300 beers from around the world, Novare Res in Portland is the place to enjoy a pint (or two) outdoors. Stop by the L.L.Bean retail store in Freeport this weekend and treat him to a Walk-On Adventure. Kayaking, fly fishing, archery and sporting clays clinics are available for $20. 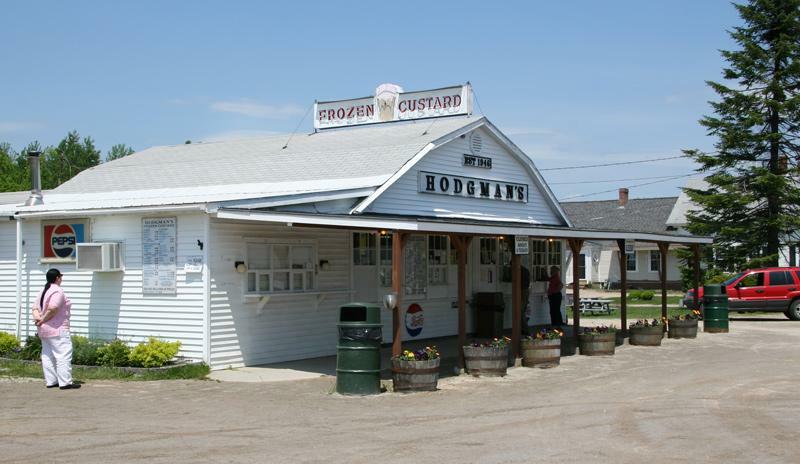 Take Dad to see 200 antique cars at Hodgman’s Frozen Custard in New Gloucester on Sunday from 10 a.m.–2 p.m. While you’re there, cross the street and visit the New Gloucester Community Market for live music, free burgers and lemonade. Antique cars and homemade custard... what could be better? 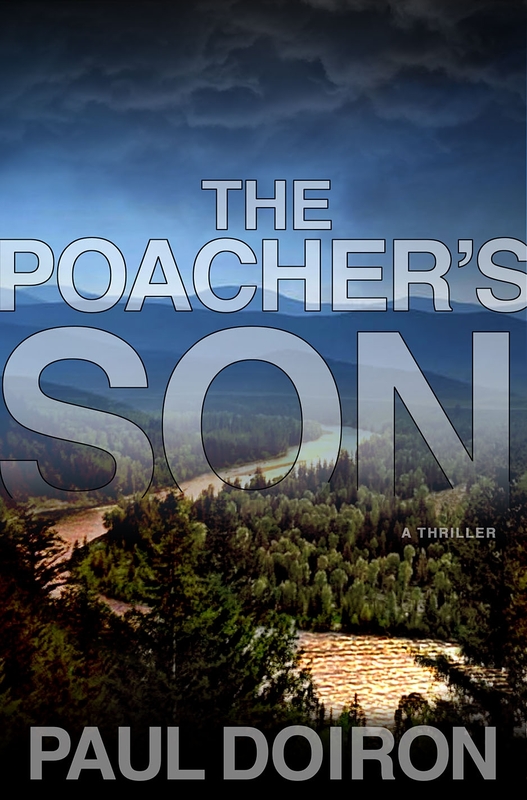 Treat him to The Poacher’s Son—a debut crime novel by Down East editor in chief, Paul Doiron. Hope this helps…. Happy Father’s Day to all! Not long ago, a friend mentioned making her grandmother’s blueberry buckle. We were curious; what the heck is a buckle, anyway? Like any smart potato, we consulted Sharon Tyler Herbst’s Food Lover’s Companion. Buckle is just another term for a single layer cake. And then coincidentally, while visiting Spring Brook Farm in Cumberland, we discovered a buckle recipe at the register. Kismet! But before team Cute Potato could start baking, we needed more blueberries. We decided to visit Crabtree’s Blueberries (featured in the August 2009 issue of Martha Stewart Living). The beautiful Sebago spot features several varieties of highbush blueberries that are perfect for picking with little ones. The orchard’s best feature? Crabtree’s offers tin pails for picking, so the berries go kerplink, kerplank, kerplunk, just like in Blueberries for Sal. And if you’re not ready to say goodbye to summer, you can pick blueberries at Crabtree’s until October. Worth noting: another favorite spot—Sebago Lake State Park—is nearby. Or if the spirit moves you, take the family for an old-fashioned river boat ride on The Songo River Queen II in Naples. But back to the Buckle, the recipe is easy to make with the kids, and delicious to boot. The taste reminds us that summer is not quite over. Preheat oven to 350º. Grease and flour a 9-inch square baking pan. In a large bowl, mix the sugar, butter, and egg until creamy. Stir in the milk. Next, sift flour, baking powder, and salt into a medium bowl. Slowly stir the sifted dry ingredients into the wet mixture. Toss the blueberries in 2 TBSP of flour and then gently fold them into the batter. Spread the batter into the prepared pan. Mix the brown sugar, flour and cinnamon together. Cut the butter into the mixture using a fork/knife or pastry blender until the mixture looks like small peas. Sprinkle over the batter and bake 45-50 minutes. Serves 6-8.